A curated toolkit for learning the most essential science concepts. 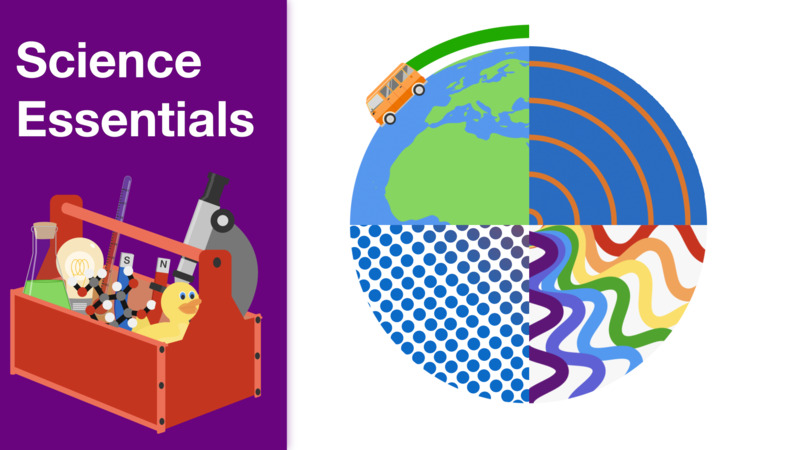 In this course, we are going to explore science “essentials” — core content and concepts necessary for a strong foundation in science, which will help prepare you to take on challenging science problems. Whether you’re just starting out or looking to refresh your knowledge on a topic, this course is designed to offer an engaging opportunity to explore key concepts through problem solving. You'll learn about the scientific process that drives science as well as topics such as matter, energy, and heat. By the end of this course, you'll have built up a scientific toolbox of important concepts to help in your pursuit of knowledge! Start your science journey here! Knowledge of basic math principles will be useful for this course. What is science and how is it approached? Explore the dynamic scientific inquiry process by venturing to an alien planet. Add critical measurement tools to your belt including scientific notation, unit conversions, and estimations! Explore atomic matter, which makes up everything you can touch and feel. What's the difference between speed, velocity, and acceleration? Your introduction to forces and Newton's Laws! Learn about energy through roller coasters, skydiving, and carnival games! Learn about heat, temperature, and thermal equilibrium!